Welcome to the 2019 edition of the Isle of Wight Jazz Weekend. This is the 8th year of our successful festival, which is organised and promoted entirely by volunteers and local jazz fans on a not for profit basis. Our festival has become hugely popular over recent years, not just with local Island based fans who get the chance to see world class musical talent in Newport each year, but also with holidaymakers and jazz fans from the mainland. We are delighted to see the same faces from across the Solent, heading back each year for a brief holiday to combine a great small jazz festival with some wonderful scenery and characterful surroundings in one of the UK's most popular tourist destinations. We have changed our name and changed our website for 2019, but everything else remains as before. Our lineup is carefully chosen to cover a wide range of styles of jazz, to include some well known names, some new ones, some regular visitors and some very talented locals. Our very popular jazz tuition course is running once more and details can be found here. We are sponsored once again by Red Funnel who are offering a travel discount : details can be found here. Our full lineup including all free / fringe events, can be seen here: it is still being regularly updated. If you want to be added to our mailing list, or have any questions, please contact us. Many thanks for your continued support, without which our festival would no longer be viable. THERE are a number of tributes to the jazz greats this year with Sandy Suchodolski, a face well known to Island audiences, leading a seven-piece project entitled The Nat Gonella Story. This will be the first performance of the tribute to trumpeter Nat and features the popular trumpeter and vocalist Enrico Tomasso. Guitarist Nick Page leads a quartet with a tribute to legendary saxophonist John Coltrane. Gary Plumley takes on the role of John Coltrane on a musical voyage that takes the audience through his seminal albums on the Blue Note label to his later work, including A Love Supreme. Regularly performed at Ronnie Scott's, Andy Urquhart's tribute to Blue Note pianist Horace Silver will also appear. After their highly successful debut last year The IW Youth Jazz Orchestra makes another appearance. This year the featured guest is jazz trombonist Mark Nightingale. Elsewhere over the weekend, opening the festival on the Wednesday evening is a return visit by violinist Tim Kliphuis renowned for mixing gypsy jazz with classical and folk music. Pianist Gabriel Latchin, who accompanied vocalist Sara Dowling here in 2018, brings his own trio to the Island on Friday, May 31. THE annual IW Jazz Weekend is set to take place between May 29 and June 2. Event director Jim Thorn said: 'Although we started very modestly with a local audience, we have quickly become established as a major event on the UK jazz calendar. 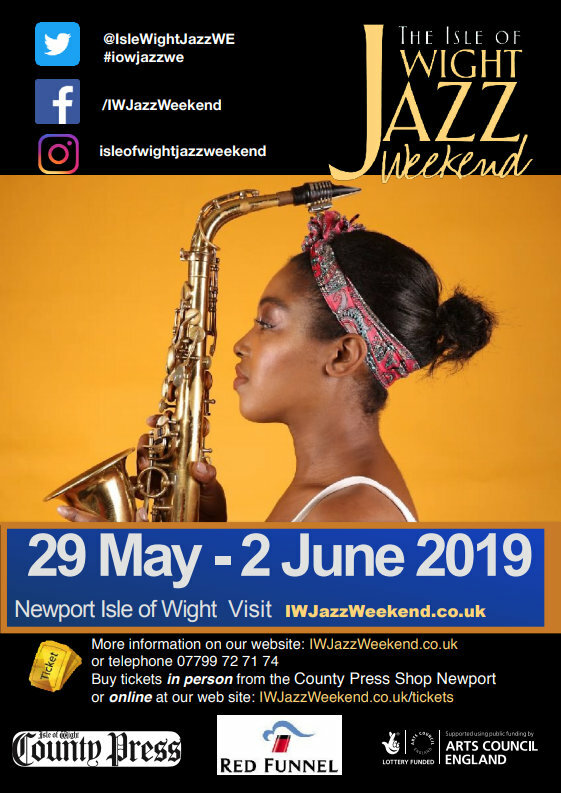 We have therefore decided to re-brand as the IW Jazz Weekend to promote the Island as a destination to hear the best UK jazz has to offer. "We continue to put together a great mix of new and more familiar faces. We have a great selection of artistes lined up with something to appeal to as wide an audience as possible." "We could not put on the event without the support of our sponsors and I would particularly like to thank the County Press, Red Funnel, Newport and Carisbrooke Parish Council and the Arts Council of England for their continued and invaluable support." One of the highlights of the 2019 event on Saturday, June 1, will be Ian Shaw. He is a multi-award winner as best jazz vocalist and Ian has been cited, along with Mark Murphy and Kurt Elling, as one of the world's finest male jazz vocalists. Closing Sunday, June 2, is the Echoes of Ellington Big Band. They perform an acoustic and authentic rendition of the great Duke Ellington's arrangements, notably from his 1956 album, Ellington at Newport. Joining Echoes of Ellington at Medina Theatre will be festival favourites Sax Appeal led by Derek Nash and starring the Island's own Gary Plumley. Following his gig, there will be a return visit from award-winning vocalist Georgia Mancio, who is one of Europe's most respected, adventurous and multi-faceted artists. She is joined by pianist Kate Williams in their eight-piece Finding Home project, which includes a string quartet. To finish the Friday evening is Jivin' Miss Daisy led by bassist Simon Thorpe with vocals from Liz Fletcher. Making her IW debut is Nigerian-born Camilla George, who is a London-based saxophone player, improviser, composer and teacher. She is one of the most exciting young musicians in the UK and brings her own quartet to the Island. The ever-popular guitarist Jim Mullen will also appear in a new line up with Zoe Francis on vocals and Ross Stanley on Hammond organ. 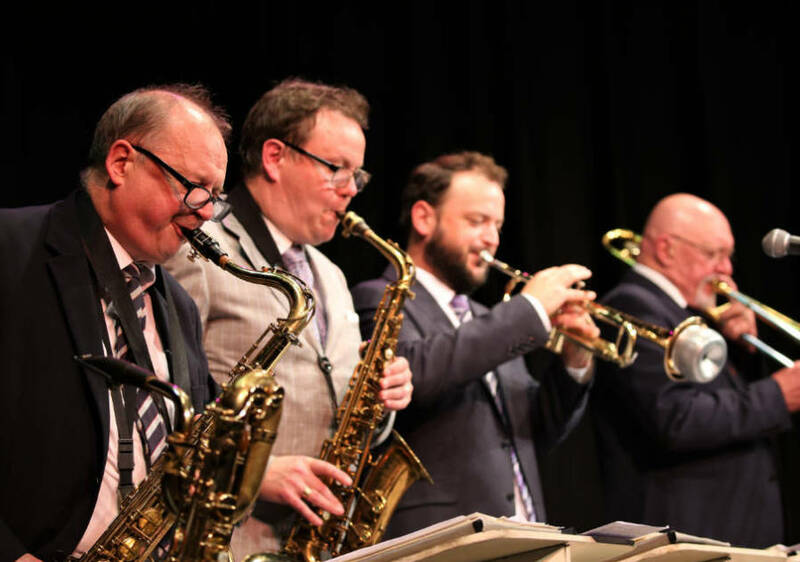 Fans of traditional jazz will be well catered for, with one of London's most popular trad jazz bands, The Sunshine Kings, performing at the Bargeman’s Rest, and the Island's own Gramophone Party playing at the same venue. The successful fringe will continue with artistes and venues announced nearer the time. All fringe events will be free but some may be at venues, such as restaurants, where you may have to book a table. Full details of the individual events together with timings and prices will be announced shortly. Tickets, including early bird deals, go on sale in February and will be available from the County Press, online and from other outlets.